A healthy lifestyle starts with healthy food - you simply cannot out-train your diet! This option includes an initial assessment with our registered dietitian to gather all the necessary information to provide you with the best diet plan for you! - Initial Assessment: Meeting with your dietitian including: body fat percentage and circumference measurements, lifestyle assessment, medical history review, identifying dietary restrictions and sensitivities determining strengths and weaknesses, setting goals and an initial diet plan. 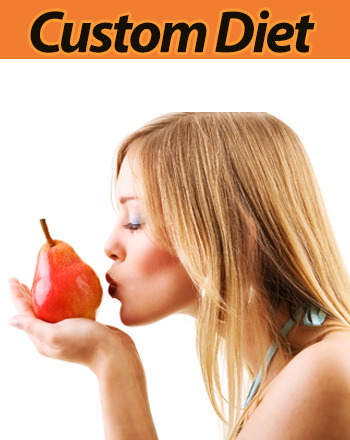 - State of the art, custom diet plan: that suits your needs and schedule. Artfully crafted to be easy to follow, yet extremely effective at achieving your goals. Trained to adjust the diet plan towards different cultural needs. Enjoy what you eat and get results! - Supplementation Guidance: get help making sense of the thousands of supplements out there and nourish your body with only the top quality dietary supplements! - Unlimited email/phone support: to keep you on track and to answer all the questions you may have.